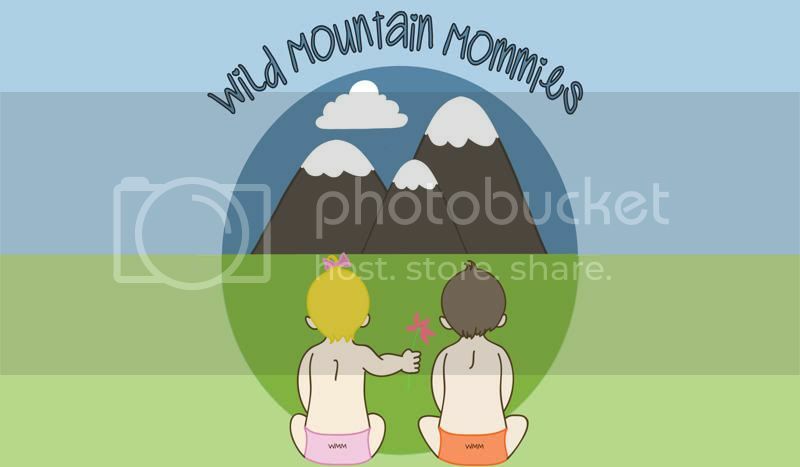 I reviewed a Newborn Diaper and cloth wipe a couple months back from Wild Mountain Mommies. That was one of our longest lasting newborn diapers. I asked her if she'd be interested in letting me review a OS diaper once Emerson outgrew the NB and she agreed. She sent me an ADORABLE OS diaper and I'm in love. Folded in half and laid in. Since it's zorb you can lay it in or stuff it. I usually stuff it in the pocket. Smallest setting. Good fit. It's one looser in the waist now. LOVE the elephants on him! Like I said, the waist is one looser now it fits him WONDERFULLY though. It's a great diaper that will last until he's potty trained for sure. There are 4 rise settings and he's on the smallest at 12.5 pounds now. Love the print. As usual it's wonderfully made and I LOVE that zorb insert. I've never tried zorb before and it is SUPER absorbent. He can easily wear this diaper for 10 hours at night no problems. It's still not even soaked at that point. Diaper washes wonderfully. I washed and prepped the insert 3 times and then started using it. I found it got more absorbent up until about wash 6. But was plenty absorbent after 3 for us. I love all the prints she has and her prices are wonderful. For this Printed PUL pocket diaper WITHOUT an insert is $13. Her bifold zorb insert (which I THINK is what I got as it was only bifolded when I received it) is $4 for the OS size. A trifold insert is $5.50. Reasonable prices. For $17 you can have a OS diaper with Printed PUL and a great insert. Her small diapers with printed PUL are only $11.49! I love that elephants print. I am now going to look at her website and take a look around to see about her other diaper prints. Thanks for the review. I love to find other websites that have really cute diaper prints.